Most fantasy football leagues are down to their final four teams. 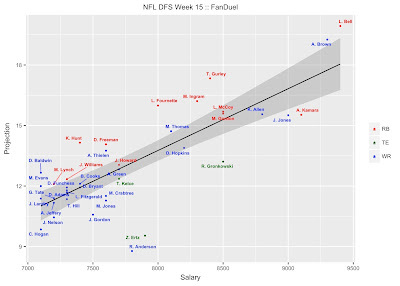 For everyone else, there is Daily Fantasy Football during NFL week 15 action. 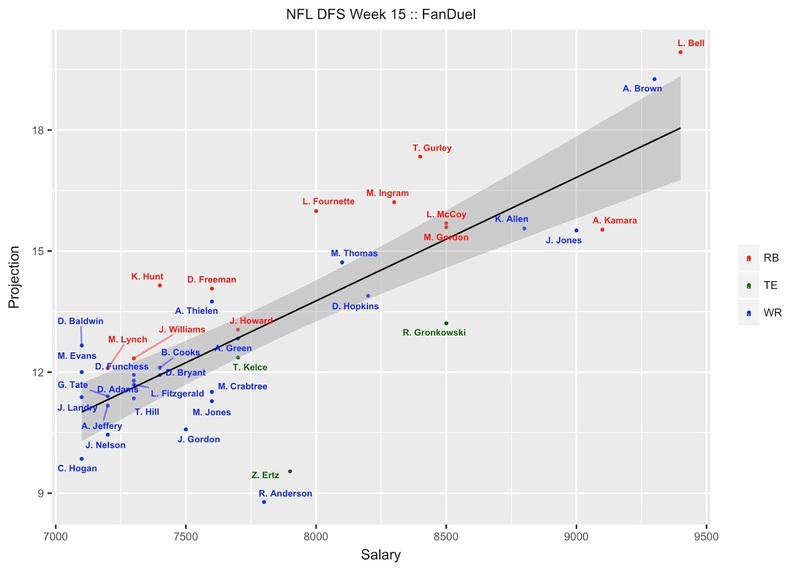 Using the wisdom of the crowd to generate custom projections, lets take a look at this weekends slate, position by position, on DraftKings and FanDuel. Remember, the Detroit Lions host the Chicago Bears & the Chiefs play the Los Angeles Chargers, in Kansas City, on SATURDAY! 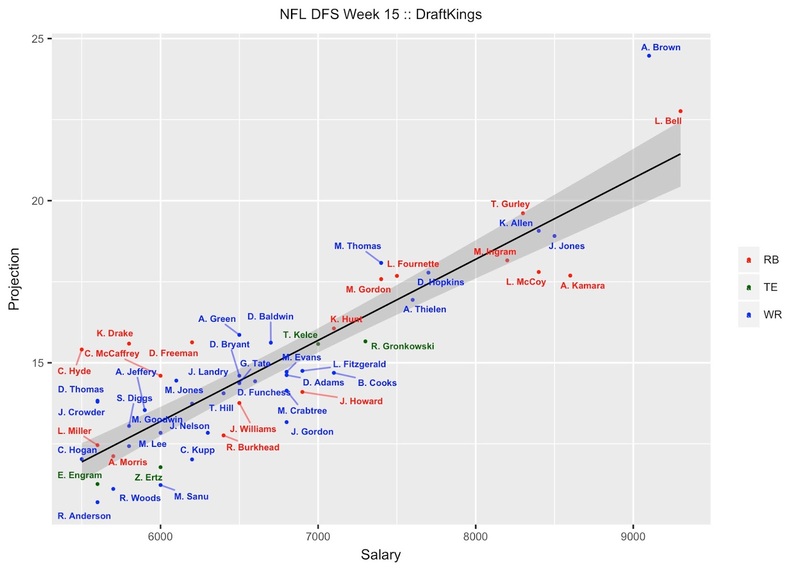 For the most recent updates, check out our DFS Projections Web App!